Get ready Long Beach, this December the Los Angeles-based specialty pie and coffee shop Pie Hole will open three new locations in Southern California—including Belmont Shore. The store announced recently that its stores will be located in Long Beach’s Belmont Shore neighborhood, located at 5277 East 2nd Street, Venice Beach, located at 324 Lincoln Boulevard, and in Rancho Cucamonga’s Victoria Gardens Mall, located at 12466 North Main Street. The Pie Hole is the creation of mother-and-son duo Rebecca Grasley and Matthew Heffner who baked pies together and eventually founded the business in 2011. Using Grasley’s four-generations-old recipe book, the pair decided to bring their classic family recipes to the masses and opened The Pie Hole’s first location in Los Angeles, according to a release. This passion project quickly grew, with shops now found across Southern California, the United States and Asia. All the menu items are made from scratch and by-hand, featuring traditional and creative flavors. 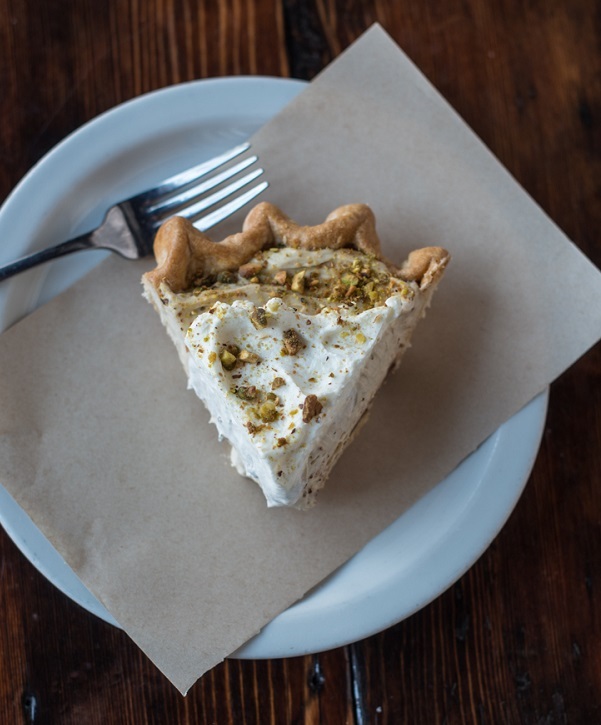 The shop offers classics like Mom’s Apple Crumble and Moe’s Pumpkin as well as pies with a modern twist, like Earl Grey Tea Pie, Mac ‘n Cheese Pot Pie, PIEfaits and more. The business also has an exclusive line of Fair Trade Organic coffees, according to Pie Hole. Each location has certified baristas on staff to create hand-pulled espresso drinks with fair-sourced coffee beans, specialty blends and on-tap nitro cold brew coffee. The Pie Hole partnered with Fransmart to grow the brand and are currently looking for foodservice operators to develop franchise territories in major markets nationwide. To learn more about franchising click here. Photo courtesy of Pie Hole.